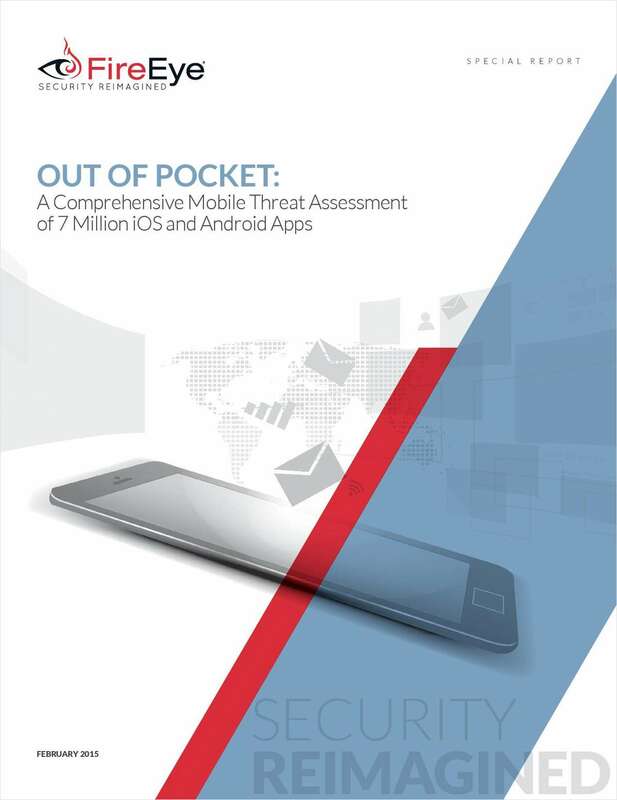 "Out Of Pocket: A Comprehensive Mobile Threat Assessment"
Free Report: "Out Of Pocket: A Comprehensive Mobile Threat Assessment"
In a recent analysis of mobile apps, FireEye discovered vast vulnerabilities in thousands of the most popular downloads. This in-depth report reveals that Android malware is growing more pervasive, and iOS devices are also increasingly at risk. By submitting this content request, I have legitimate interest in the content and agree that FireEye, their partners, and the creators of any other content I have selected may contact me regarding news, products, and services that may be of interest to me.